All information is subject to change, so use as a guide and talk with us to confirm all information and pricing for your holiday. 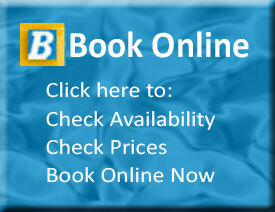 Click here to use our online booking/enquiry form. Please allow for extras per night if using more than one bed (twin share) in Deluxe & Spa Standard Rate Off Peak Discount. Peak / Holidays. Off Peak starts 1st May – 31st Aug. See our Port Vincent Caravan Park Specials Page for specials – *Conditions Apply. Also watch the Sunday Mail travel section for other promotions. All fees must be paid on arrival. Full payment in advance may be required on School Holidays and Long Weekends. Tariff is not refundable if your stay is cut short. Deposit/Payment is not refundable with less than 60 days notice of cancellation. For cancellations with more than 60 days notice, deposit/payment may be refunded less 40% of the amount paid for administration fees. If notice is not received for cancellations, full payment of balance owing will be deducted without notice. Dogs are permitted all year with own Caravan and Four Dog Friendly cabins by arrangement and under strict conditions. Dogs are not permitted in the area of the amenities or other cabins. Please click on this link to view the complete list of Pet Rules. Full payment may be required on School Holidays and Long Weekends. Minimum bookings – Easter/Long Weekends/School Holidays/Special Events*Please note that additional fees may apply to one night stays. The above rates and minimum nights may change. Please confirm by calling the Caravan Park.